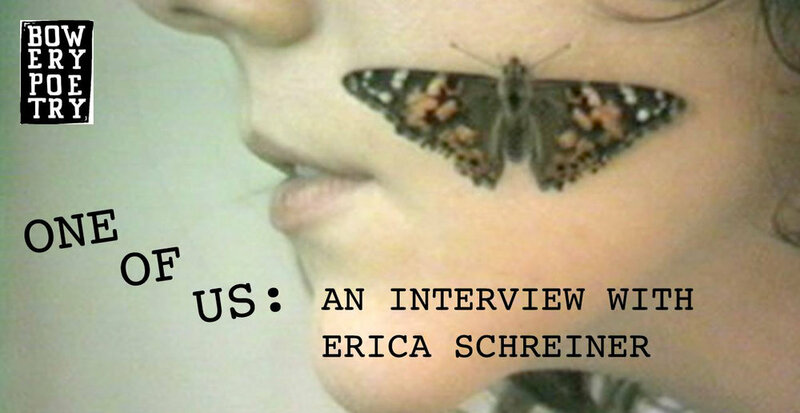 Who is Erica Schreiner? The star and director of the art film Satori? The poet who wrote Arrows and The Plastic Sea? Is she the author of the coming of age novella The Greatest History of Life? Why did she come to New York? Who told her she could do art? And why does she eat butterflies? ONE OF US celebrates cool underground artists we think you should know about. This interview is being hosted by Sergio Satélite in partnership with Marietta Magazine and Mad Gleam Press.